It is evident that we cannot afford this, and we need to take action. More efficient and effective medical treatment is only part of the answer. 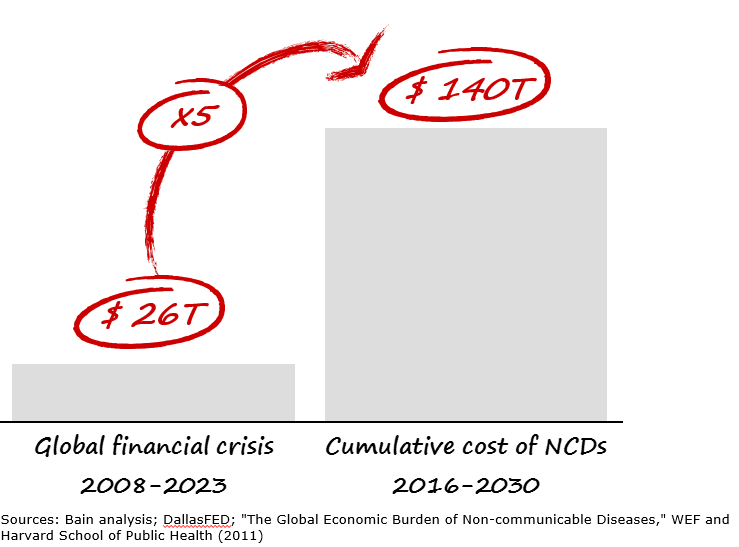 Faced with the reality of a rapidly ageing world population, the key to turning the tide on NCDs is to follow the recommendations outlined in Maximizing Healthy Life Years, a joint report of the World Economic Forum and Bain & Company. As indicated in the report, health is not just an issue for stakeholders in the classic healthcare industry; it touches almost all industries. 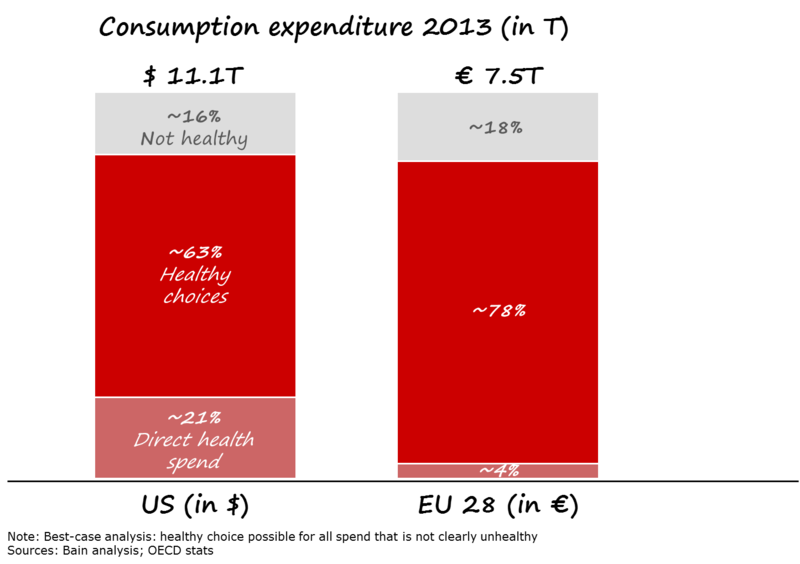 The Forum report, How to Realize Returns on Health, created in collaboration with Bain, offers a way to overcome these hurdles. With regard to incentives, public and private stakeholders need to create “Ecosystems of Health,” where a health benefit (or Return on Health) aligns with Return on Investment. Within these systems other stakeholders can then design and deliver financially viable, health-enabling offerings.